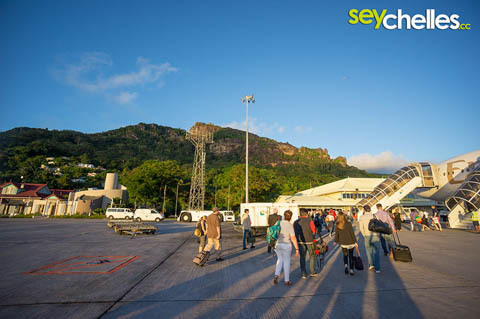 Arriving at Mahé International Airport on Seychelles main island is outstanding. Especially when you are lucky enough to have good weather - stepping out of the plane, looking at the lush green surroundings and the sea, and breathing the humid air - that´s what you come here for. If it is raining, you´d better hurry up into the arrival hall of the really small airport. 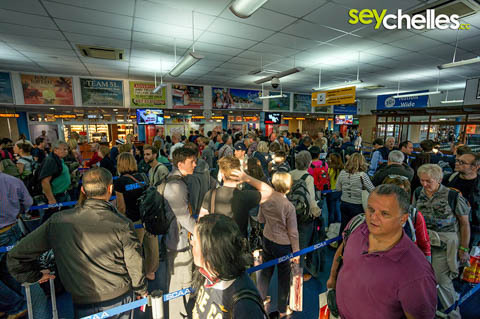 Apart from a few exceptions (see more info on the website of the Ministry of Foreign Affairs), no Visa is required to enter the Seychelles and you´ll get a visitors permit to stay 30 days once you hand over your completely filed form (which you´ll get from your cabin attendants). Be sure to check whether your passport is valid prior to arrival (see the link to the Ministry of Foreign Affairs again for the latest info). After passing the immigration, you´ll get to the luggage area which is in the same "room" - (it´s not more than a big office room ;)) as the customs, where some bags and cases are checked and others are not. Once you passed all that, you´ll get to the open arrival area where you´ll find counters of your travel agency, car rentals etc.. 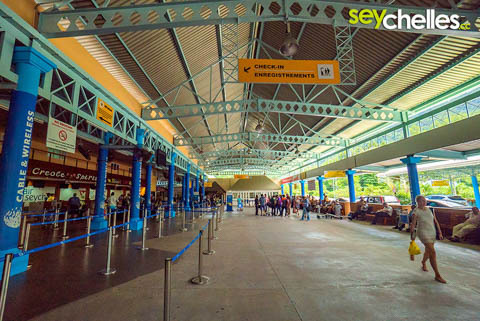 Waiting for your transport, this is the perfect time for your first ATM visit to get at least a few Seychelles Rupees. The nearest ATM is at the other end of the arrival area, on the outside of a small building that looks like a cabin. 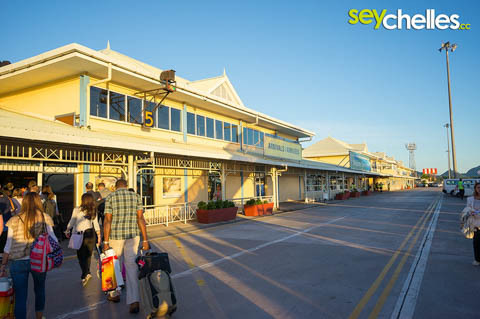 Be sure to check the Seychelles Rupees Exchange Rate before.